Looking for professional air conditioning maintenance service in East Moline, IL? Bettendorf Heating & Air Conditioning features a full lineup of AC maintenance services that will help keep your unit in tip-top shape. We pride ourselves on our fair and affordable rates complemented by our outstanding customer service. Our technicians are licensed and certified and will carefully inspect your AC unit to ensure that it's expertly maintained. Before the hot weather rolls into East Moline, IL, be sure to schedule your air conditioning maintenance and inspection. 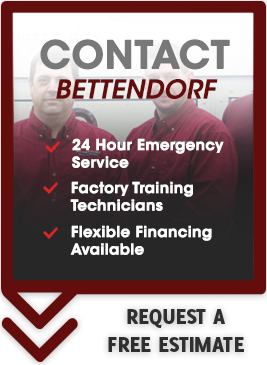 Bettendorf Heating & Air Conditioning features skilled technicians who are trained to provide AC maintenance for any make or model air conditioning system. When you call us for an inspection, we'll carefully go over your unit to make sure that it's in optimum working condition. If we spot wearing parts, we can recommend replacement before they can lead to a breakdown. Once a wearing part gives way, it can damage your unit and lead to more expensive repairs and longer downtime. With routine inspection and maintenance, we hope to keep your AC unit working long into the future. 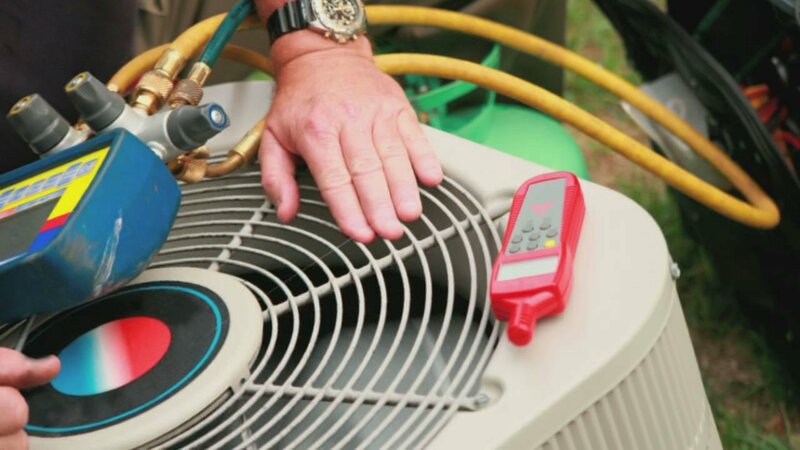 If you're concerned that your AC unit has a problem, we can visit to perform diagnostics. We'll root out the problem and recommend the right fix. We charge up front pricing so there's never a surprise when it comes to cost—and our costs are competitively priced. If you hear unusual noises coming from your AC system, notice that your energy bill is more costly than usual, or that your unit isn't cooling your home as well as it used to, call us to troubleshoot the problem so we can correct it for you. We also offer emergency service 365 days a year. If you live in or around East Moline, IL, and need expert air conditioning maintenance, contact the regional leader: Bettendorf Heating & Air Conditioning. We can also provide new AC system installations. Call us with questions or to schedule your AC maintenance and inspection today.